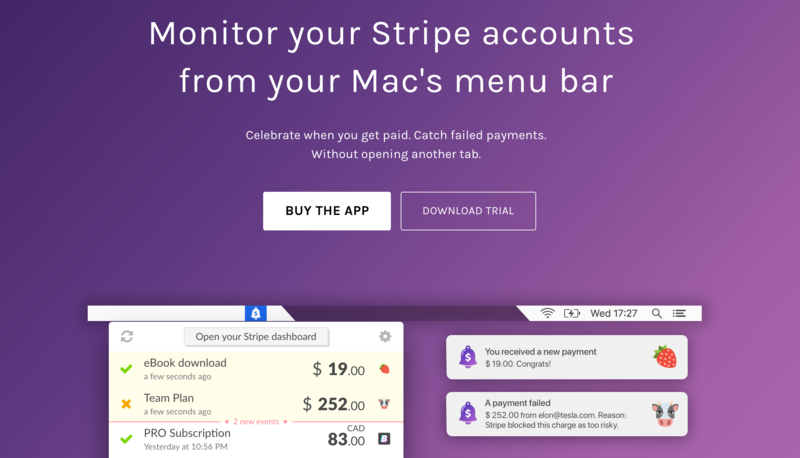 Do you use Stripe to process credit cards? Get notified of every transaction so you can watch your money pile up with CashNotify. It lives right in your menu bar and helps you stay on top of successful and failed transactions without ever opening a browser tab. P.S. Too many browser tabs? Try the Chrome extension TabSnooze – we love it!